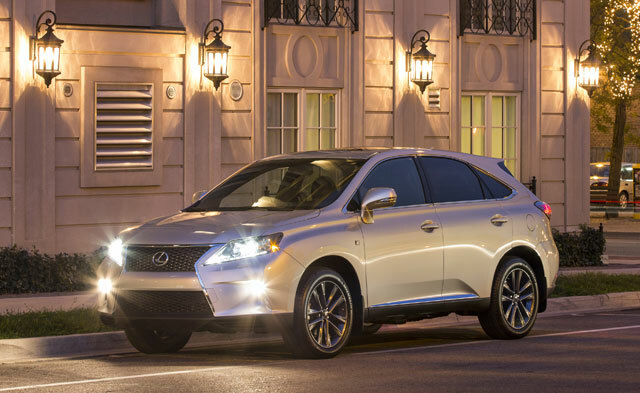 The following is a review of the 2013 Lexus RX 350 F SPORT by guest author Tim Esterdahl, an associate editor for the Tundra Headquarters enthusiast website. 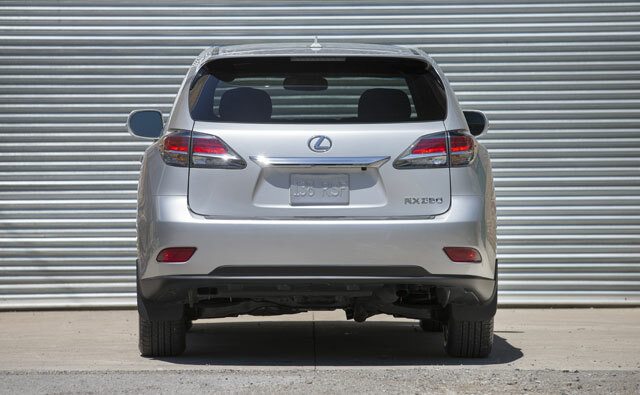 The new F Sport package for the Lexus RX 350 is an interesting new addition to the luxury SUV product line, and after spending a week driving it across a broad range of road conditions, I believe it should be a strongly considered package. When Lexus offered to let me drive the RX 350 F SPORT for a week, I was curious as to what makes it a “sport” model. I have driven several previous RX models, and found them to be very plush and comfortable SUVs, but the SPORT distinction seems more at home in their other products and not in a SUV. Naturally, I was surprised by what I found. I drove the RX 350 F Sport for a week around Denver, CO and took it up in the mountains our family of four (including two boys under four) to see how the cabin handled all our gear. 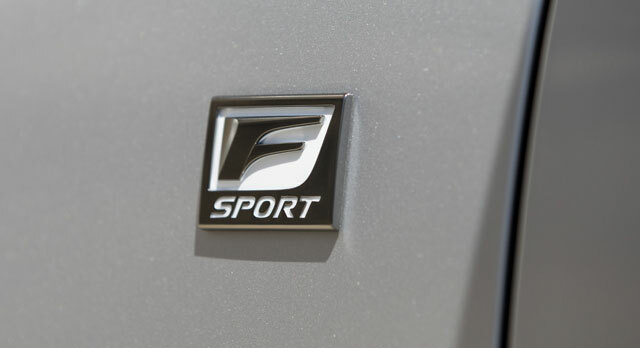 For the record, the F SPORT distinction speaks to the eight-speed automatic transmission, complete with paddle shifters and an optional manual mode. It also has a “unique lateral performance damper system”, which is really just a fancy cross-dampening suspension system. These new additions work in conjunction with the carry over V-6 and slightly larger tires (19-inch aluminum wheels with 235/55 all season tires). All wheel drive is standard. 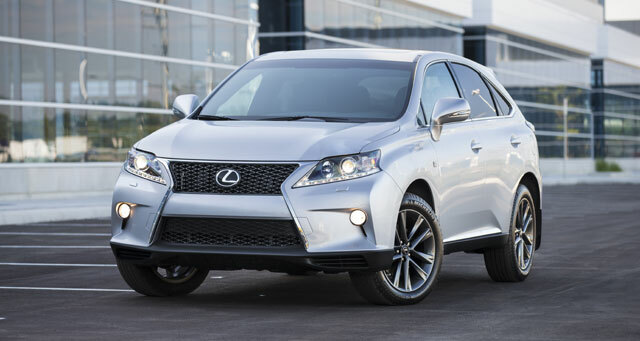 The RX F SPORT is rated at 18/26/21 mpg, as compared to the standard RX, which is 18/25/21 mpg. Considering the F SPORT comes with the eight-speed transmission, I expected much better fuel economy. 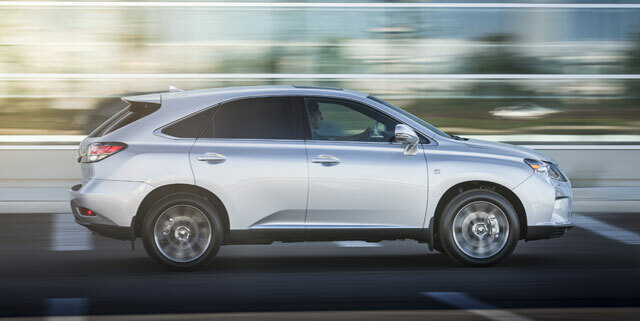 On the outside, Lexus has given the RX 350 F SPORT subtle highlights to mark it as a performance model. There are two small emblems on the front fenders, a new “aggressive” grille, more chrome, and wheels with a dark graphite finish. 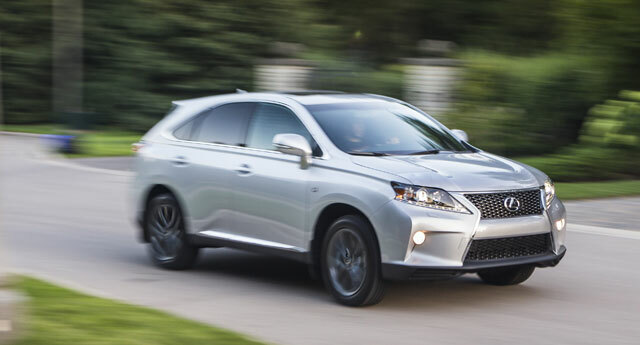 Sadly, that’s about it — it looks near identical to other RX 350s in all other regards. Frankly, if you passed one on the road, you would be hard pressed to quickly identify it as a F Sport model, which is a bit disappointing. That said, it does have Lexus’ superior fit and finish. Sitting on the street, it stands out as being a superior quality to other vehicles. The RX F SPORT interior is full of plush and comfort. Everything from steering wheel to the covers on the storage compartments are built to a high quality. I found the seats incredibly comfortable to sit in while driving, and all the controls were easy to reach. I really liked the Remote Touch mouse-like device for controlling the Lexus Enform system — at first, I thought it would be distracting and take my attention away from the road, but I found it to be intuitive to use. Overall, there was just enough room for our young family, though we could have used more. I believe that the RX is the perfect SUV for an family with older kids, or even grandparents who want to take the grand kids for a day trip. 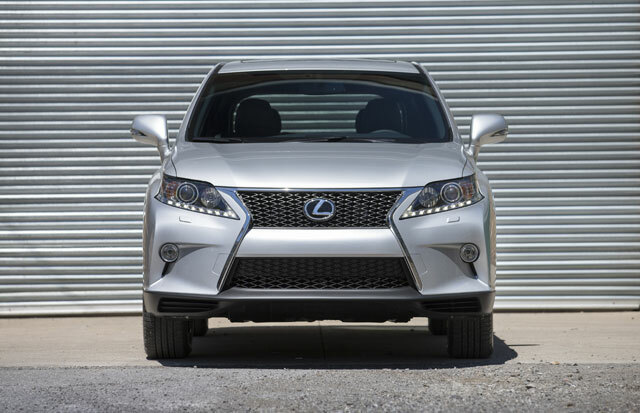 Smooth and comfortable are two words that come to mind when describing many Lexus models, and this one didn’t fail. Driving it around town, I found turning, accelerating and braking to be smooth. On the highways, it got up to speed quickly without any jerkiness or sluggishness. One of the items I was eager to test was the eight-speed transmission, which seems like a lot of gears for an SUV with a V6 engine. I had some real mixed results. Switching into manual mode will show the current gear, and at times, I was surprised at the computer’s gear selection (driving around town at 40mph: 8th gear. Accelerating to 77mph on the Interstate: 5th gear). Still, the eight-speed transmission is absolutely smooth during acceleration — punching the pedal, it effortlessly shifted through gears without having any hesitation. The handling and ride comfort was simply spectacular. I drove the RX F SPORT over bumpy roads, deep into on ramp corners and across roads under repair. It performed admirably in all circumstances. The V6 engine’s output really surprised me and got the SUV where I wanted to go really quick. While there is ongoing debate as to the value of the $7,690 F SPORT option price over the base RX model, either model is a good choice. If you are looking for more “punch”, opt for the F SPORT. It isn’t a substantial performance upgrade, but it is the more FUN choice. Guest author Tim Esterdahl lives in Denver, Co with his wife and kids. He writes about cars for many different sites, including Tundra Headquarters. He spends most of his days driving cars and trucks to golf courses, in the never ending pursuit to hit the little white ball straight. Photos are courtesy of Lexus Canada. Ayo DocMkize: True F sport power lacks in the RX model ,lets while Akio Toyoda is around we can expect a RXF model. F1orce: My favourite SUV. And those photos are amaZing. Lexus should use them.